The road to Tunstall from Brownhills leads through St Mary’s and Ladywell areas of Tunstall, the most northern of the Six Towns. Tunstall Farm was later owned by Mary Younge with land on the east side of it owned by the Smith-Child’s of Newfield Hall. Later, seven acres were sold to the Williamson brothers where Goldendale Ironworks was built. Some of this was divided to make Tunstall cemetery in 1868. 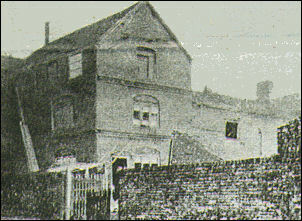 The original Tunstall court house stood in Cross Street renamed Oldcourt Street in the 1950’s. According to some records it was demolished in 1888. 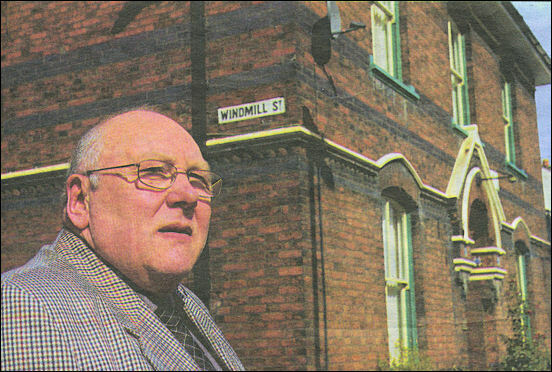 A lot has changed in Tunstall over recent times, and continues to change. Although the court goes back centuries the town itself isn’t that old. A subsequent courthouse and market was built in Tower Square as it is now known. Steve Birks points out other elements of the court’s jurisdiction. What is the court leet, I ask. 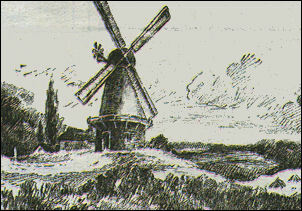 Tunstall was also noted also for its market with a windmill standing on high ground in Pierce Street near Jefferson Street. At the town end of Pierce Street an imposing detached town house still has the old ceramic street nameplate attached in defiance of modernisation. The McGough’s are a big Tunstall family founded by Paul’s great-grandfather. The McGough family are deeply committed to Tunstall and its prevalent Catholic faith. The house at the end of Windmill Street has been lovingly preserved by the McGough family. Its five reception rooms still have the original chair rails, 18 inch deep skirting boards and delightfully moulded plaster corbels lining the arched door frames. The back rooms are separately defined as servant’s quarters in a touch of period history. MacGough’s house lingers in a historic corner of Tunstall near where the old court once stood. Hopefully it will remain undisturbed for many years to come.